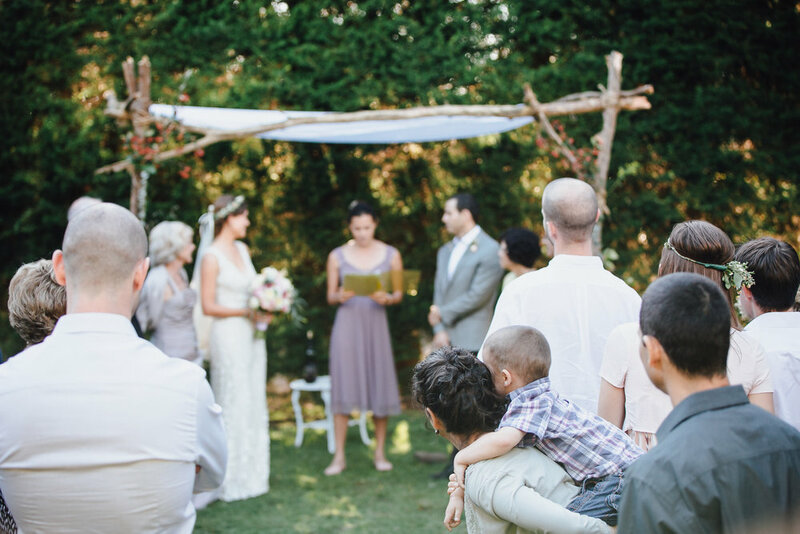 From my first meeting with Sarah and Alon, I knew this wedding was going to be special. 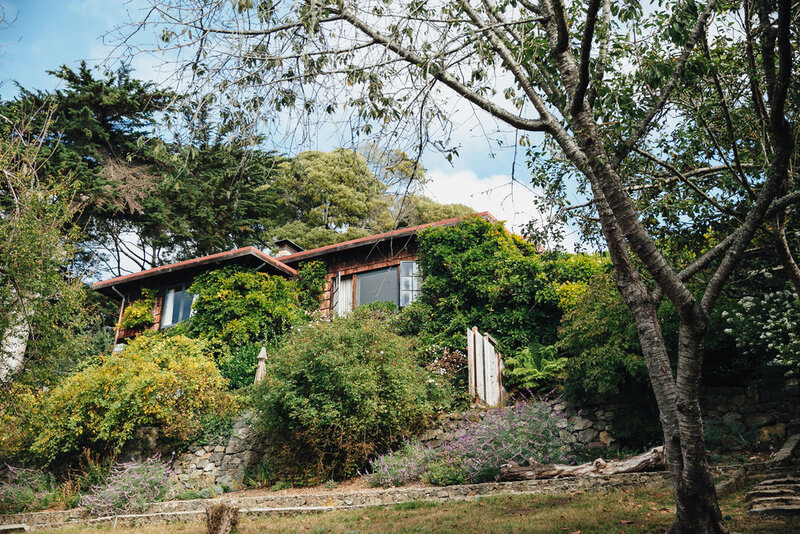 Sarah found a 100-year-old rental property in Stinson Beach with magical gardens and two gorgeous old houses for everyone to stay in. Most of Sarah's family flew in from the South, and much of Alon's family came all the way from Israel! The whole day was relaxed, personal, and full of love, and I was so happy to be a part of it. Stinson Estate - I don't even have the adjectives to describe this property! Many famous artists and writers have stayed there in the past, and it has a bohemian, rustic vibe. During the ceremony we could hear waves crashing in the background, and after dinner on the lawn, everyone moved up to the house for music and dancing. Marble Rye Photography - Melissa (who recently moved to the Bay Area!) was so lovely to work with! 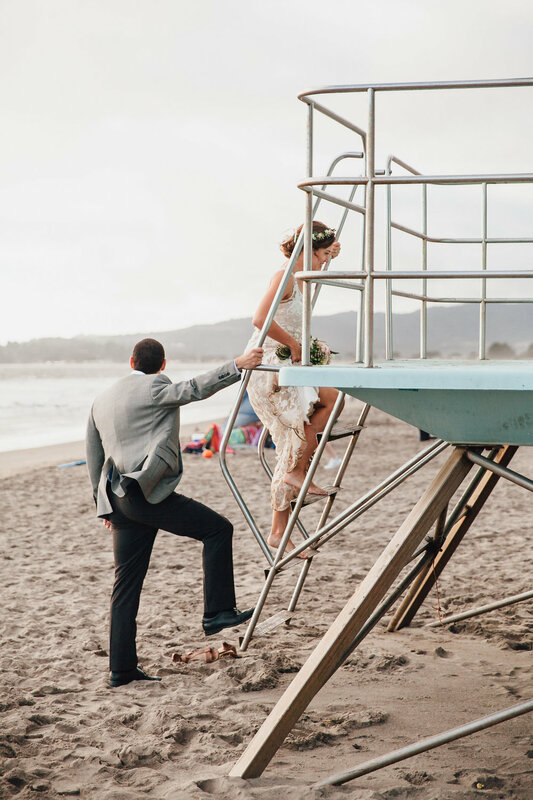 She scouted out all the best photo spots and was perfectly unobtrusive while managing to capture amazing, intimate moments. I can't get over how stunning these photos are! A Sound Objective - We booked Paul through Ivy Hill Entertainment, and he could not have been nicer or more professional. 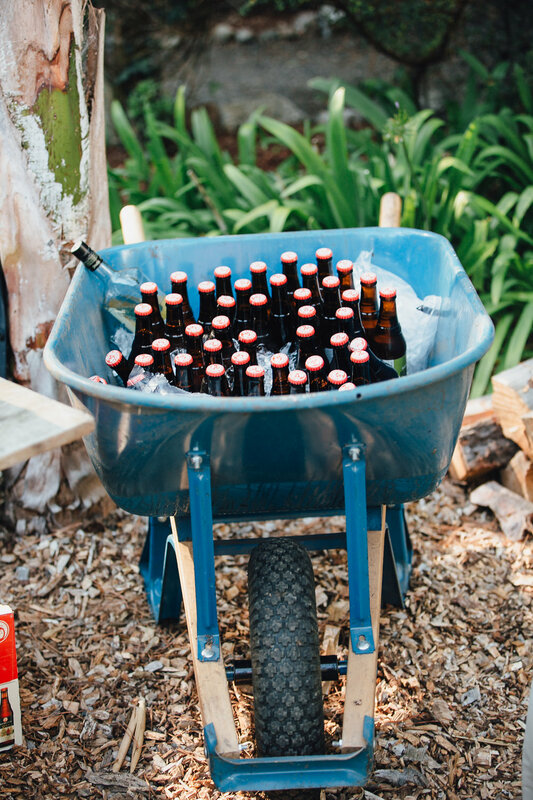 He arrived early, stayed until late into the evening, and did a fantastic job setting up multiple sound systems throughout the property. Shalimar/On Call Staffing - A friend picked up Indian food from Shalimar in San Francisco, and On Call Staffing provided two servers who handled all the food setup and breakdown, and totally adapted when the original buffet area was getting pummeled with bird droppings (gotta love outdoor events!). Ohndrea Elliott at Heroes and Hairoines Salon - Ohndrea graciously agreed to drive out to Stinson to do Sarah's hair, and created a classic yet natural and gorgeous updo. Home Sweet Flowers/Workshop SF - For Sarah's bachelorette party earlier in the week, she and a group of ladies spent the evening with the lovely Lorena from Home Sweet Flowers at Workshop SF learning how to make centerpieces and flower crowns. The flowers held up beautifully for the wedding - such a smart and creative way to DIY wedding florals with the help of a pro.